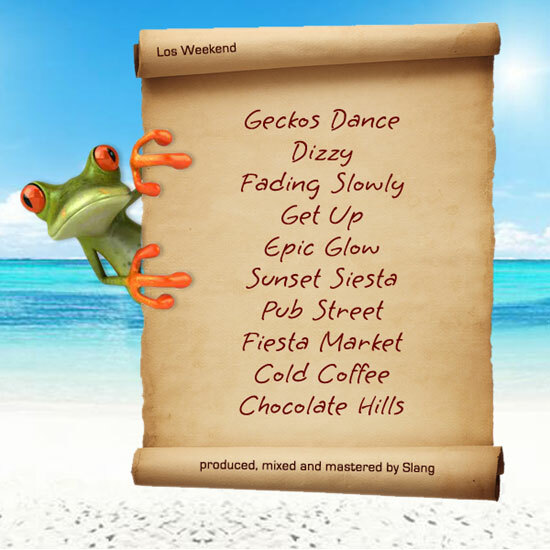 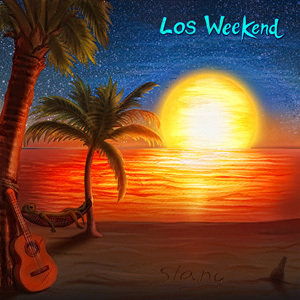 Los Weekend is a cornucopia of uptempo Nouveau Flamenco, Acoustic Pop, vibey Reggae, Smooth Jazz and trippy Beatnik atmospheres for the lazy Sunday afternoon at the beach under a palm tree, backyard bbq party or the morning after. 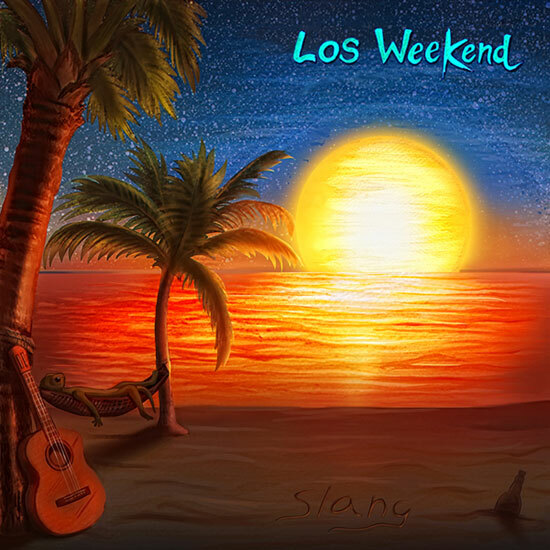 Steve Lang: Nylon, acoustic and electric guitars, bass, keyboards, percussion, and drum programming. 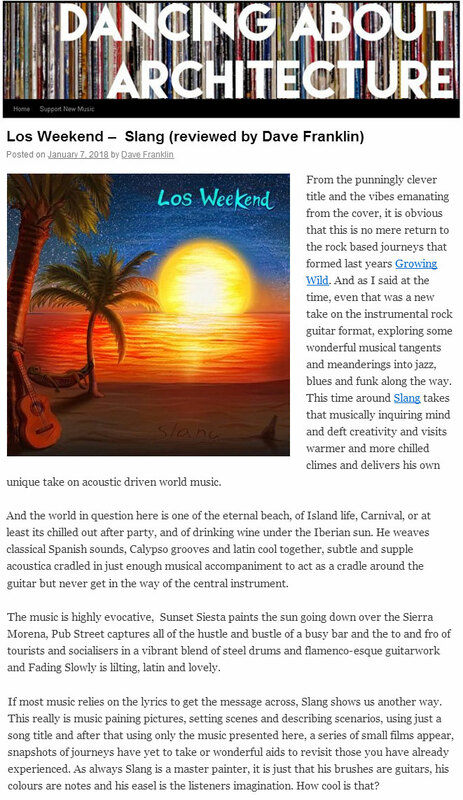 The album was written and recorded between November 15, 2017 - December 15, 2017.